Choose the IoT Devices to install on your assets. 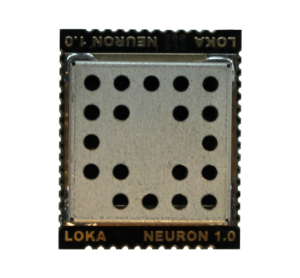 LOKA Solutions first device. Focused on asset tracking, with its geolocations capabilities. It wants to show what assets have a reflective thought. Characteristics : 2 Analog IO lines 8 Digital IO lines UART / Serial Port (AT commands available); Wi-Fi 802.11b/g/n transceiver 3D Sensor , Magnetic Sensor , Temperature Sensor Input VCC: From 1.8V to 3.3 V.
This device has an expandable capability that allow one to buy it with an external temperature sensor or a GPS. It also is possible to adapt to one of two different connectivity networks: Sigfox or NB-IoT. The module that is the base of all devices produced by LOKA’s team. It has sensors to provide: temperature, movement and geolocation, with low power consumption. It differs from the market because its ready to connect all existent sensors and nonexistent sensors directly to the IoT Cloud platform. Allowing information about all sensors to flow easily. 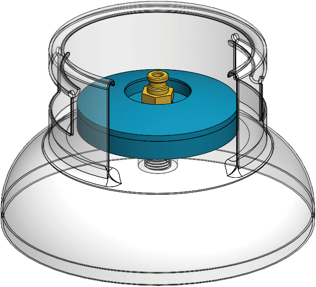 Its newness is also associated to its energy supply sensors and the size in which all of this fits in. Where are you contacting from? Already have a LOKA Solution?